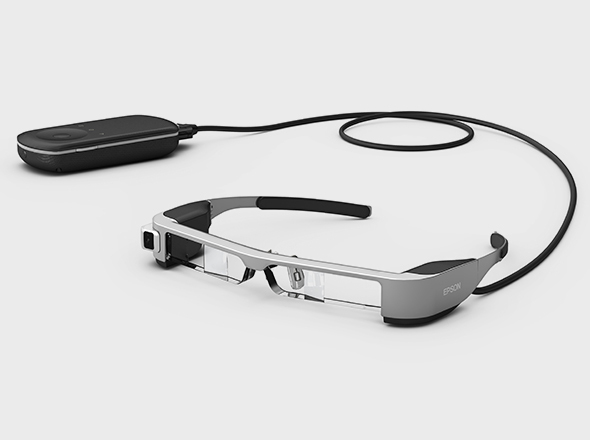 The Moverio BT-300 features Epson's cutting edge silicon-based OLED (organic light emitting diode) digital display technology, making the device the lightest binocular see-through smart glasses on the market with an OLED display2, with never-before achieved image quality. Enjoy the ultimate in Augmented Reality thanks to its HD display, and its high contrast for a true see-through experience. 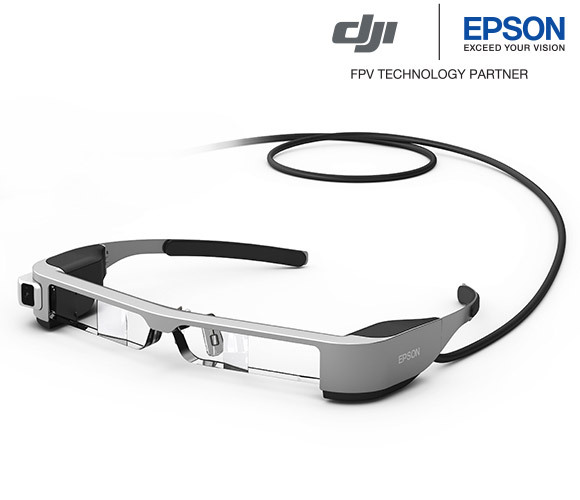 Are you a DJI™ drone pilot wanting to experience the next level of First Person View (FPV) control? 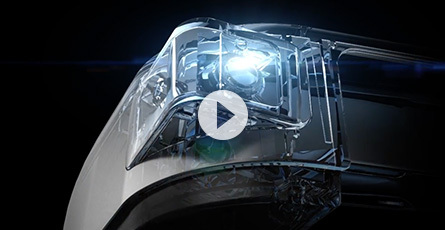 Epson invests heavily in R&D to maintain our market leading position in projection technology. Everything we do is with the customer in mind. That's why we're always bringing new technologies to market. And that's why we developed the latest in silicone-based OLED technology, which is optimised for use in our smart eyewear range. Watch the video to find out more. With Moverio BT-300, the unused display space appears truly transparent thanks to our new Si-OLED micro display technology and its high contrast ratio of 100,000:1 enabling the projected digital content to seamlessly merge with the real world. HD display (720p) and high brightness ensure a crisp image and vivid colours. Whether you're watching a film or experiencing the power of augmented reality, the Moverio brings content to life like never before. The powerful Intel® Atom™ x5 1.44GHz Quad Core CPU ensures smooth performance, even with demanding, content-heavy applications. Thanks to its large array of sensors including motion sensors in the headset & the controller, GPS, microphone, and camera, it is possible to create amazing and unique experiences. Trigger Augmented Reality content, and take HD-quality POV pictures and videos, all hands-free thanks to the 5MP front-facing camera. The camera features an LED indicator, that flashes when used. Featuring the latest innovations in wireless connectivity (Bluetooth Smart Ready, Wi-Fi a/b/g/n/ac & Miracast), it can easily connect to a wide range of devices to receive content and data at high speed. Thanks to its separate controller housing a full-sized battery, the battery life is up to six hours - allowing you to use the Moverio for extended periods of time. Visit the Moverio Apps Market to browse and discover apps specifically designed for Moverio, including games, entertainment, business and lifestyle apps. Download them directly from your Moverio and enter a new world of entertainment and possibilities. Expanding the scope of connectivity and usability with a responsive display for healthcare, engineering, commercial drone piloting and more. When compared to data available on the websites of manufacturers of competitor devices with similar features as of January 2016. Targeted weight of the Moverio BT-300 headset: 69g. The new standard in drone piloting: Si-OLED display, enabling full see-through experience for the only FPV accessory in VLOS. Stay informed of upcoming Moverio tradeshows, webinars and partner demos. Visit our Moverio developer site to access technical resources or request technical support. How do I install Document Capture Pro for my scanner? Mac OS X 10.11 (El Capitan): USB push scanning does not function when using Epson Scan. What should I do? Where do I need to put ICC or ICM profiles to use them with my Epson printer or scanner? Windows Vista: Why do I get User Access Control Messages? Epson Scan: What scanning modes are available? My scanner is making an abnormal noise. What should I do? The EPSON scanner software fails to open and displays an error notifying that it 'has stopped working' in Microsoft Windows. How can I resolve this? 1 - When compared to data available on the websites of manufacturers of competitor devices with similar features as of September 2016. 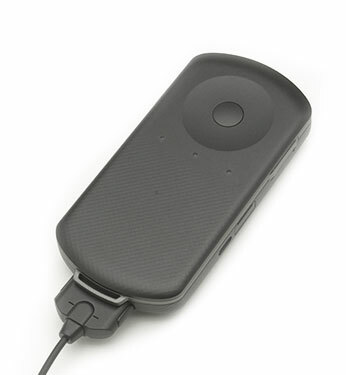 Moverio BT-300 weight: 69g.